With the last term before summer, it is time for high school students to work hard, as for some this can be a chance to turn their year around. Term three is often worth up to 60% of the year’s grade. This means that even if a student has been performing below expectations academically, they have a chance to finish the school year strong. For some, this last haul could make the difference between passing or failing the year. At Phelps, we can provide one-on-one support for high school students during this important time. 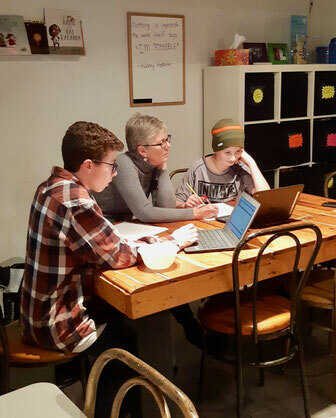 Tuesday, Wednesday and Thursday evenings, students can get off the bus at our location at 272 rue Dufferin in Stanstead and receive homework and study help from our dedicated volunteers. This support is offered in both French and English all three evenings.